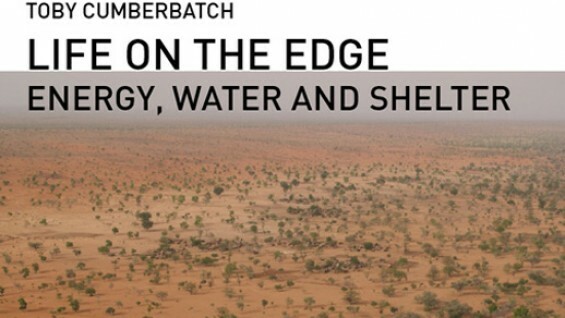 Professor Toby Cumberbatch "Life on the Edge - Energy, Water and Shelter"
Humankind is facing a complex set of inter-related problems associated with the future availability of, and access to portable water, food, material resources and environmentally benign sources of energy. Humankind is essentially looking at the requirements for its survival – with the fate of each individual inextricably interlinked through their usage of, and interaction with, the commons, the natural resources that we all share and need, such as the atmosphere, the oceans and the vegetation. The limited infrastructure of the less industrialized world provides a window through which we gain insight into the demands we place upon the planet with regard to our fundamental needs for energy, water and shelter. Sharing the lives of the extreme poor in rural communities in remote areas of Africa teaches us about the true precepts of sustainability and sustainable engineering. Toby Cumberbatch has taught at The Cooper Union for the Advancement of Science and Art since 1994. Based in the Electrical Engineering Department, he founded the Center for Sustainable Engineering, Art and Architecture Materials, Manufacturing and Minimalism (SEA2M3) to bring students from the three schools together to develop sustainable solutions to the problems facing those in remote regions of the developing world. Each summer a group of students from the Schools of Art, Architecture and Engineering spends at least two months in Northern Ghana, working with students and communities on the projects described. In addition, Dr. Cumberbatch has strong links with universities and communities in Rwanda, Kenya and Burundi.